Spotlight Search (Command + Space) is the easiest way to get around on your Mac -- you can use it to do things, as well as find things. Spotlight Search (Command + Space) is the easiest way to get around on your Mac — you can use it to do things, as well as find things. Open Spotlight Search and begin typing the name of the application you want to launch. The application name and icon should eventually appear at the top of the search list as you type. Just select the application and hit Return to launch. Type a song title or artist name, and you should see it appear as an Apple Music search result at the top of the list in Spotlight Search. When it does, just tap Return to instantly open the artist or track in Apple Music. Type your calculation into Spotlight Search for a near-instant result. Want to know what 5,000 Euros are in dollars? Ask Spotlight: just type “5,000 Euro in USD”. The easiest way to check your spelling? Open Spotlight Search and type the word, it should appear as you type. Or type any word and then write ‘define’ and you’ll see the full dictionary definition, including phrases and alternative words. Spotlight Search is also smart enough to keep an eye on sports matches for you. Just type “baseball scores” to see what’s happening in today’s MLB matches, or type “football scores” to check what’s what in the Premier League. Just type in your flight number to check for any delays — very useful if picking someone up from the airport. Type the name of a contact, an event, or a reminder to quickly get to a mini-view of that information. Tap Return to open that item in the host application. Just type “Weather in [Name of place]" to get an instant seven-day chart of weather conditions. 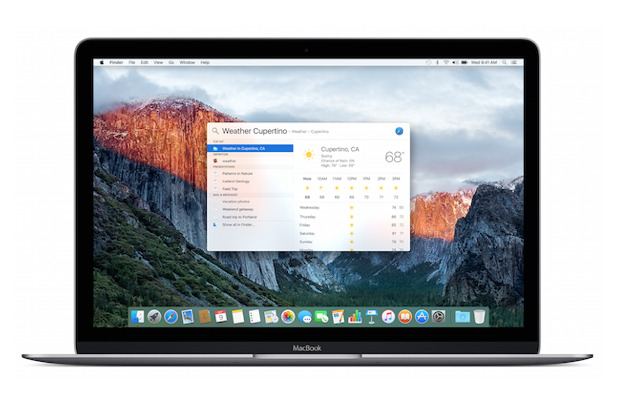 If you have location enabled on your Mac, you’ll see the weather where you are appear first of course – usually when you finish typing the first word. Spotlight Search is smart enough to understand quite complex Boolian and Spotlight-search term specific searches. You can ask it to “find emails from [contact name],” “apps from last week” and more. A great example of this is when you want to find all the screengrabs on your Mac, when you should type, kMDItemIsScreenCapture:1. I hope this helps you make better use of good old Spotlight Search on your Mac.